When we saw Kate Middleton in that exquisitely beaded pink Jenny Packham dress back in June we secretly hoped that it might be a hint towards where the designer's Fall 2012 Bridal Collection was headed. And, needless to say, we certainly weren't disappointed. A little bit Gatsby, a little bit goddess, and even a little bit medieval, the Jenny Packham collection is the perfect mix of vintage elegance and bohemian charm. We love love love this designer and the antique quality of these dresses, complete with intricate beading and a romantic sparkle that is truly glamorous. 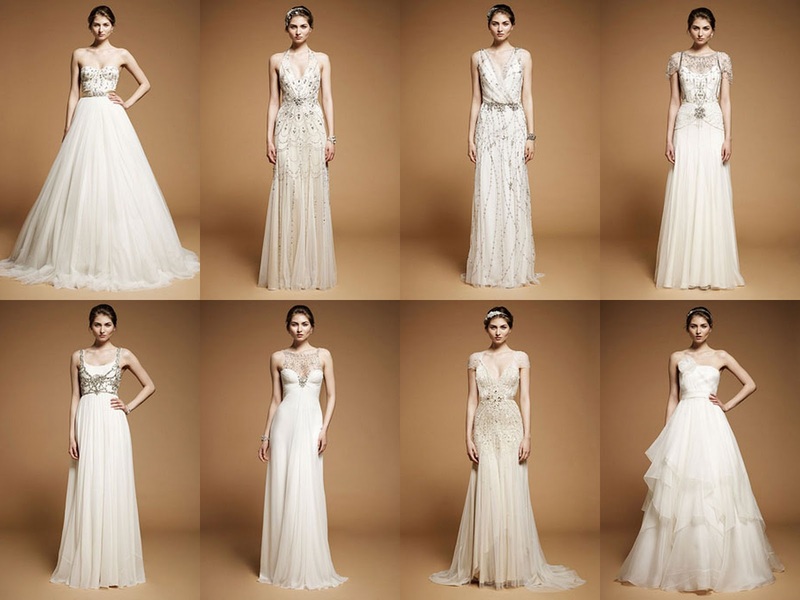 This collection is so fantastic that we had a hard time choosing just eight pics, so be sure to click the link to brides.com to view all 30 equally gorgeous dresses!